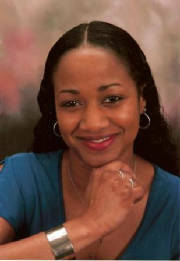 Assistance For You, owned and operated by Yvonne Thompson, offers multi-faceted business support as a Virtual Assistant. We specialize in assisting small businesses and individuals in becoming efficient through administrative support and task-specific assignments. Located in Kent WA, we serve the greater Seattle-Tacoma metropolitan area and beyond via the internet. Over the past few years the need for outsourcing has steadily increased. More than ever businesses rely on contracted workers as an effective management choice. This savy decision saves companies substantial overhead costs and time. Entrepreneurs and sole-proprietors alike take advantage of this trend. In addition, technology has quickly transformed our world into a virtual society. We send emails, faxes and use cell phones because they save us time. It makes perfect sense to utilize a service that supports your business goals while saving you time and money. With over sixteen years of office managerial, customer service and administrative support experience, we feel we are ready to address this task. Click the link to discover the benefits of outsourcing with Assistance For You. To deliver quality services that provide uniquely tailored solutions to meet our client's business or lifestyle needs culminating in positive and successful results. Our goal is to provide the business community and individuals with quality and reliable business support at an affordable price. We believe in offering the best service possible while adhering to the high professional standards below. Virtual Assistants are the future. We are a group of highly skilled entrepreneurs that facilitate administrative functions and more for small, home, and large businesses alike. It's just like having your own administrative assistant except it's done virtually. Whether you need a letter typed, scheduled mass mailings, or customer follow-up, we can do a wide array of tasks to meet your needs. Since we are independent contractors, we help you control operating costs and conserve revenue when you utilize our time, equipment, software and resources. We complete each project based on your specifications, as if it were our own, while providing excellent customer service; thus increasing your cost-efficiency. As our society continues to expand our virtual horizons, virtual assistants are becoming the perfect compliment to support your business needs.